What’s happening at HUBweek Friday? Hubweek hosted a seminar for parents on how to talk to their kids about marijuana use in the Ideas Dome on City Hall Plaza Thursday. Explore how technological advances affect ‘our daily lives on a micro and macro scale with speakers from Google, the Broad Institute, MIT, Harvard, and iRobot. Listen in as experts question and reveal what steps we can take today in climate resilience, mobility, public policy, and more to create a world worth living in as we face increasing digitization. Registration required at HUBweek.org. Jill Goldstein, founder and executive director of the Women, Heart, and Brain Global Initiative at Massachusetts General Hospital, will discuss why women face twice the risk as men of co-occurring major depression and heart disease. Goldstein explains the work that MGH and the Harvard T.H. Chan School of Public Health are doing to develop therapeutics and policy initiatives to tackle this public health challenge. 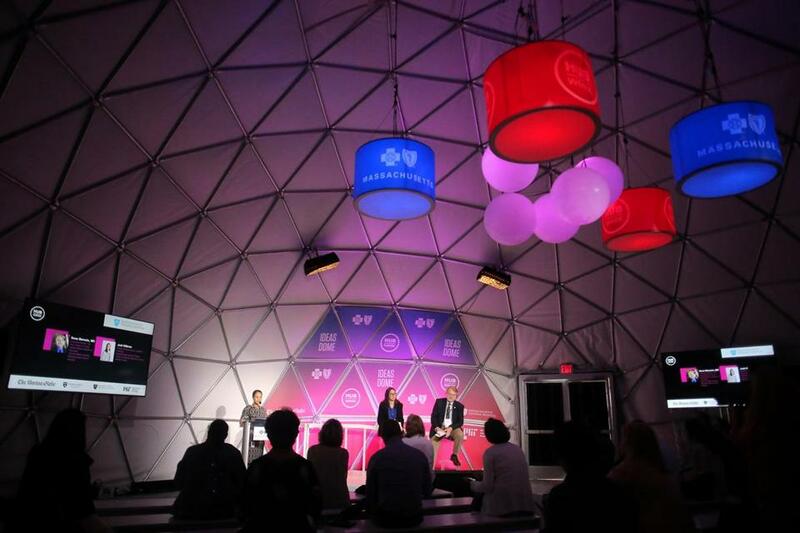 Free or paid pass, registration required at HUBweek.org. Enjoy a 30-minute immersion into the life of a musician with the Boston Pops as you experience what it’s like to sit on stage at Symphony Hall. Each video will be virtually hosted by Keith Lockhart and viewers can watch as he conducts “Stars and Stripes” and “Overture to Candide” at Tanglewood, as well as John Williams conducting “Star Wars.” Free or paid pass, registration required at HUBweek.org.